New 2018 ** $6,782 Off M.S.R.P. ** Experience BMW of Bloomington, Your Complete Satisfaction is Our Top Priority, Courtesy Service Pick-Up and Delivery, Courtesy BMW Loaner Vehicles, Courtesy Weekly Car Wash, No-Cost Scheduled Maintenance, Call 309-661-2691 for Complete Details Convenience Package, Premium Package, Navigation, Rear Backup Camera, Panoramic Moonroof, Heated Seats, Heated Steering Wheel, Comfort Access, Apple Carplay, Advanced Real-Time Traffic Information, Apple CarPlay Compatibility, Auto-Dimming Interior & Exterior Mirrors, Auto-Dimming Rear-View Mirror, Brake assist, Comfort Access Keyless Entry, Convenience Package, Electronic Stability Control, Exterior Parking Camera Rear, Head-Up Display, Heated Front Seats, Heated Front Seats & Steering Wheel, Heated Steering Wheel, Knee airbag, Lumbar Support, Memory seat, Navigation System, Navigation w/Touchpad Controller, Panoramic Moonroof, Power Front Seats, Power-Folding Mirrors, Premium Package, Rain sensing wipers, Remote Services, SiriusXM Satellite Radio, Spoiler, Universal Garage-Door Opener, Wheels: 18" x 7.5" Light Alloy Y-Spoke, Call Today to set up a test drive 309-661-2691. At BMW of Bloomington, serving Peoria, Morton, Champaign, Springfield and Lincoln IL, we offer new BMW cars in Bloomington, along with many excellent vehicles by top manufacturers. Our sales staff will help you find that new or used car you have been searching for in Bloomington. Experience BMW of Bloomington, Your Complete Satisfaction is Our Top Priority, Courtesy Service Pick-Up and Delivery, Courtesy BMW Loaner Vehicles, Courtesy Weekly Car Wash, No-Cost Scheduled Maintenance, Call 309-661-2691 for Complete Details BMW Certified Pre-Owned, Premium Package, Navigation, Rear Backup Camera, Panoramic Moonroof, Heated Seats, Call 309-661-2691, *UNLIMITED MILE WARRANTY*, Advanced Real-Time Traffic Information, Apple CarPlay Compatibility, Auto-Dimming Interior & Exterior Mirrors, Auto-Dimming Rear-View Mirror, Comfort Access Keyless Entry, Convenience Package, Head-Up Display, Heated Front Seats, Knee airbag, Lumbar Support, Memory seat, Navigation System, Navigation w/Touchpad Controller, Panoramic Moonroof, Park Distance Control, Parking Assistant, Power-Folding Mirrors, Premium Package, Rain sensing wipers, Remote Services, SiriusXM Satellite Radio, Universal Garage-Door Opener, Wheels: 18" x 7.5" Light Alloy Y-Spoke, BMW Certified Pre-Owned Details: * Vehicle History * Warranty Deductible: $0 * Multipoint Point Inspection * 1 year/Unlimited miles beginning after new car warranty expires. * Roadside Assistance * Transferable Warranty Call Today to set up a test drive 309-661-2691. 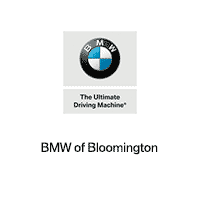 At BMW of Bloomington, serving Peoria, Morton, Champaign, Springfield and Lincoln IL, we offer new BMW cars in Bloomington, along with many excellent vehicles by top manufacturers. Our sales staff will help you find that new or used car you have been searching for in Bloomington. On the hunt for that perfect used car? BMW of Bloomington has one of the widest selections of used cars in Bloomington, IL — including our current selection of used car deals. Now that you’ve seen how affordable some of our specials are, know this: we hold all of these vehicles up to the same high standards as our new BMW models. What does that mean for you? It means you can trust each of these used cars to be both affordable and dependable. After you’ve taken a look at our pre-owned vehicle specials online, be sure to contact us to make an appointment and visit us in person! We look forward to getting you behind the wheel of a used BMW or other pre-owned car for a price you’ll love. Get started by valuing your trade-in today.